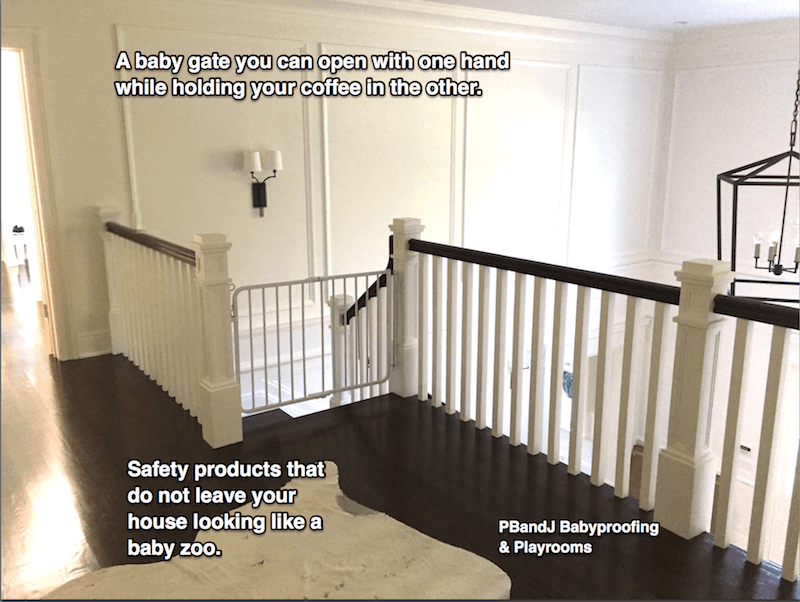 PBandJ Babyproofing homes all over Fairfield County. Our carpenters outfit homes with the latest safety gates that work, really work. We understand your banisters are tricky in design and not square, we will take care of that difficult area with a gate you can open with one hand while holding your coffee in the other. Most people are under the assumption that safety products are bulky, cumbersome and an eyesore, but today’s products are efficient and sleek in design and some are barely noticeable, if not completely concealed. Babyproofing your home has come a long way. - Don’t leave your gates to chance! - I will check your house from top to bottom for dangers you may have never of thought of addressing. 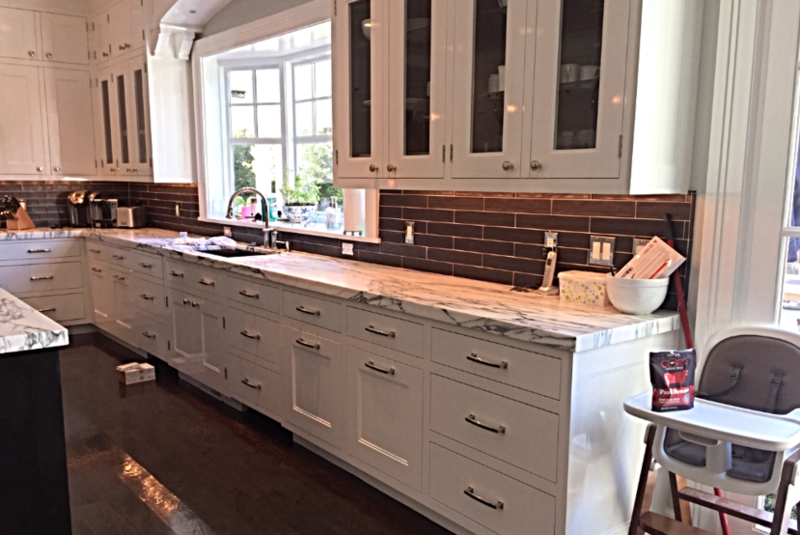 - A+ rated products installed the right way the first time! - Gates that match your homes decor. This kitchen in Greenwich was just babyproofed by us and the only evidence is that I left my kit on the floor. Even the bumpers we use are clear and barely noticeable.